Please note: Proof of military service may be required for purchase. Click Military ID for details. Warrior GloTape Subdued Infrared (IR) Reflective Flags are manufactured from specially-formulated material that only reflects infrared (IR) wavelengths when illuminated by light sources such as targeting lasers. When viewed with military night vision IR systems, the reflected IR light provides a simple marking method that identifies friendly persons to team members at distances up to 800 meters. 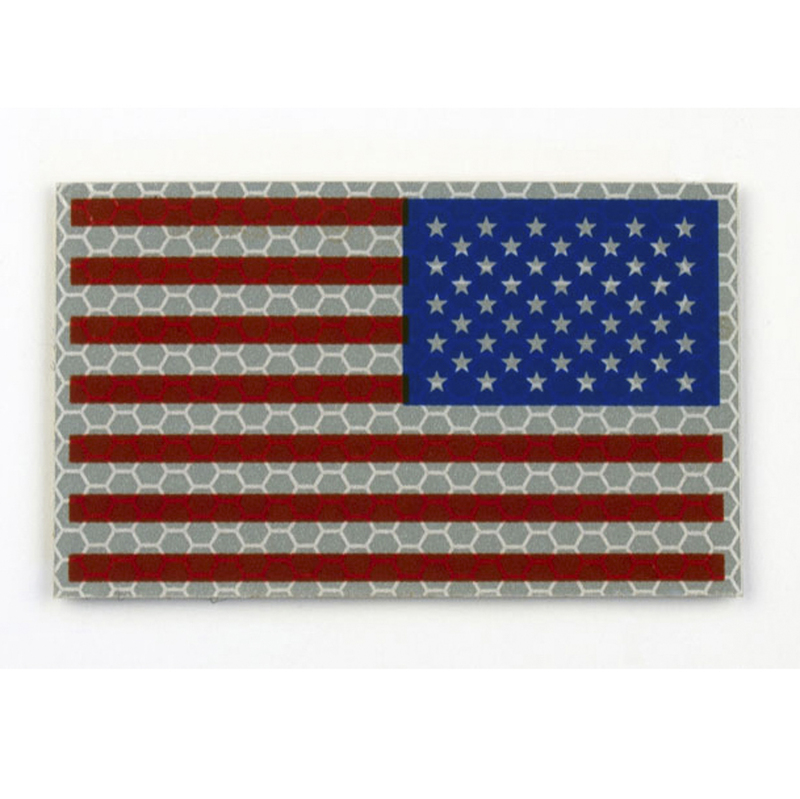 Flags are 2" x 3.5" and available with Velcro hook or peel-and-stick backing. Full color Red, White and Blue American flags reflect both IR and visible light.